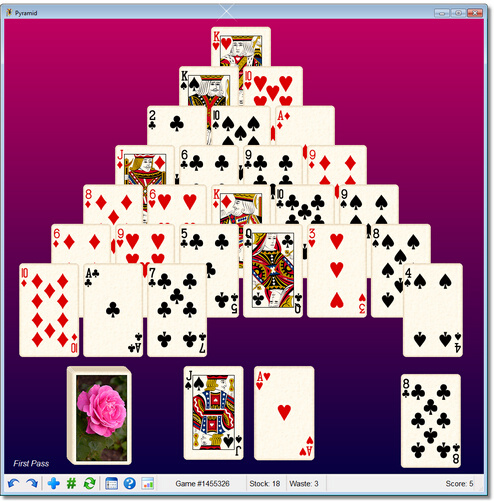 Solitaire Plus! 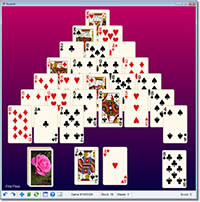 for the PC is a collection of solitaire games. The Klondike, FreeCell, and Pyramid favorites are included, along with multi-level Spider, for a total of 30 challenging solitaire variations. 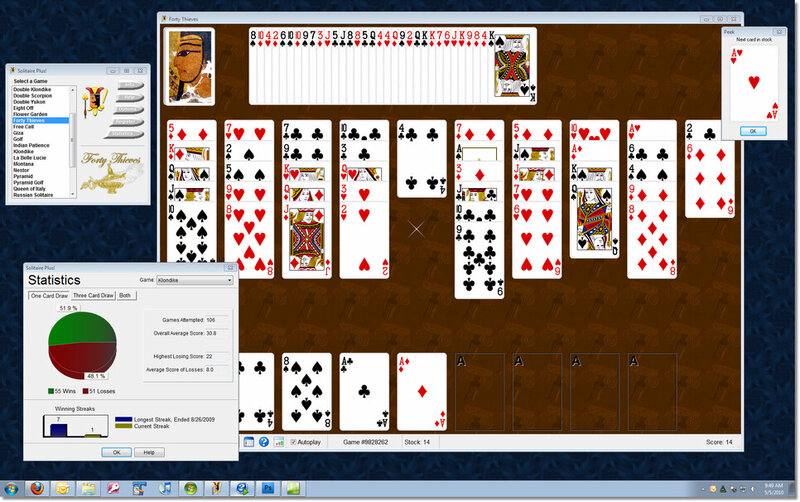 Solitaire Plus offers a unique smart-dragging feature that makes most moves automatically by simply nudging a card with the mouse. Additional features include a tableau spacing preference, use of any image as a card back or game background, statistics, and comprehensive help. 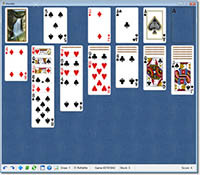 The collection presently contains the following solitaire variations: Aces Up, Australian Patience, Baker's Dozen, Baker's Game, Beleaguered Castle, Canfield, Double Klondike, Double Scorpion, Double Yukon, Eight Off, Flower Garden, Forty Thieves, FreeCell, Giza, Golf, Indian Patience, Klondike (Windows solitaire), La Belle Lucie, Montana (Gaps), Nestor, Pyramid, Pyramid Golf, Queen of Italy (Terrace), Russian Solitaire, Scorpion, Scorpion II, Sea Towers, Simple Simon, Spider, and Yukon. After ordering, simply press the Register button in the game selection window and enter the provided name and registration code. GamesForOne offers you a 30-day money back guarantee on this purchase. 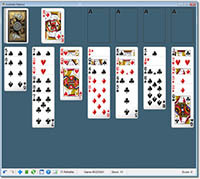 Solitaire Plus! for MacOS X is now available! Smaller card size options that work on laptops and netbooks for all games. Great game play with our unique smart-dragging? feature. And more! Try our free trial or purchase a copy today. Runs on Windows 98/ME/XP/Vista/Win7 including Starter, 32- and 64-bit editions. System Requirements: Solitaire Plus! runs on any desktop PC, laptop, or netbook using Windows 98/ME, Windows XP, Windows Vista?, and Windows 7 32/64-bit and Starter editions. It requires at least an 800x600 pixel display and Internet Explorer 5.5 or later. Gin Rummy is a member of the "Rummy" family of card games. Pretty Good Solitaire is a collection of 600 different solitaire card games! Rummy 500 is a member of the "Rummy" family of card games! Dream Solitaire is a combination of traditional puzzles and popular card games like Solitaire. Championship Spades Pro is a versatile spades card game. 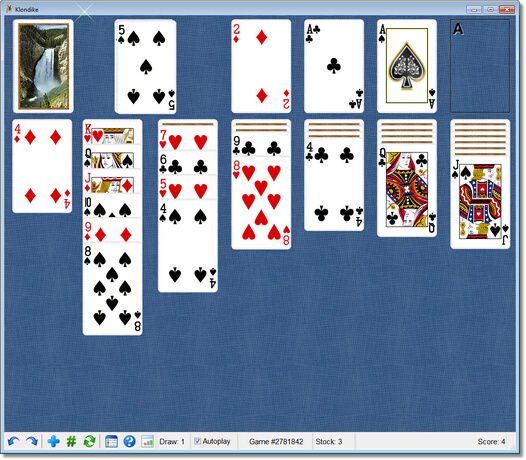 Top Ten Solitaire is a most popular solitaire card games just got better!